While the potential value of Virtual World Technologies (VWTs) lies in their promise to facilitate communication through new and novel forms of collaboration, there is a lack of prior research that examines how VWTs compare to other types of information and communication technologies (ICT) commonly used to support collaborative work. This study investigates the effects of VWTs on group ideation outcomes; specifically, it compares the use of Second Life to a chat environment for idea generation tasks. As hypothesized, groups using VWTs for an idea generation task generated significantly more unique ideas and enjoyed using the environment more than the chat environment. Contrary to our predictions, no significant difference between the two environments was observed for satisfaction, group cohesion, and social presence. Virtual worlds are three-dimensional, (3D) computer-based, simulated environments where individuals, represented by avatars, can interact and communicate synchronously in a shared space that mimics the real world. Virtual world technologies (VWTs), such as Second Life (by Linden Labs), have surfaced as a placeless space of immense opportunity. Virtual worlds have attracted the attention of businesses and researchers as a promising alternative environment in which to communicate, collaborate and organize economic activities (Davis, Murphy, Owens, Khazanchi & Zigurs, 2009; Kock, 2008; Wasko, Teigland, Leidner & Jarvenpaa, 2011). Researchers have even predicted that, by 2018, virtual worlds will be the principal platform for business applications and opportunities (Ives & Jungles, 2008). Many organizations such as Toyota, IBM, Reuters, and Wells Fargo have purchased land and other resources in virtual worlds with the hope of both exerting their presence (i.e., brand awareness) and providing their stakeholders with a virtual space to interact (Kock, 2008; Liu & Burn, 2009). Unfortunately, many organizations have grown impatient waiting to see a return on investment from their VWT projects and, in some cases, have even terminated such projects (e.g. Google’s Lively and Oracle’s Darkstar) due to insufficient evidence of the value of VWTs. While the potential value of VWTs lies in their promise to help facilitate communication through new and novel forms of collaboration, little is known about the value of adopting and employing these emergent, virtual platforms as new work spaces and places for organizational groups and teams (Boughzala, Vreede & Limayem, 2012; Sivunen & Hakonen, 2011). One of the perceived advantages of VWTs over traditional communication technologies (e.g., e-mail, chat) is that they provide media capabilities that can enhance verbal, visual, and spatial cues (Davis et al., 2009) that may result in a richer, more immersive experience. Without specific metrics, however, the value that can be created by simply transferring existing business practices and processes from one medium to another remains unclear (Duranti & de Almeida, 2012; Ross, Recker & West, 2011; Sivunen & Hakonen, 2011). In order to determine if VWTs provide more value than other mediums used for collaboration purposes, a direct comparison of mediums must be performed. Few studies, however, have empirically examined how virtual worlds compare to other types of information and communication technologies (ICT) commonly used by organizations to support group work processes, such as ideation (e.g., Hoyt & Blascovich, 2003; Siau, et al., 2010). To date, virtual world studies have primarily centered on a medium’s effectiveness for enhancing learning outcomes, commerce activities, work-flow outcomes, general collaboration, and, more recently, enriching creativity (Davis et al., 2009; Siau, Nah, Mennecke, & Schiller, 2010). 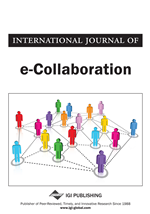 A recent study by Venkatesh & Windeler (2012) compared two collaborative technology systems, one of which was a virtual world system, and found that the relationship between team technology use and team cohesion was stronger over time for teams using a VW system, which positively influenced team performance. In the Venkatesh & Windeler (2012) study, team performance was a self-reported measure of how the team felt about the quality of their work and the effectiveness of their team.